Maine Governor Paul LePage shared scary statistics on Tuesday about drug use in the state, revealing that in the first quarter of 2015, there have been 200 overdose deaths, and nearly 1,000 babies were addicted at birth or were otherwise affected by a parent’s addiction. LePage plans to add an additional seven people to the Maine Drug Enforcement Agency (MDEA) division along with several extra prosecutors and judges to handle drug cases. The governor and MDEA plan to focus efforts on upping the war on drugs by stopping the problem at the source. John Morris, who is the Public Safety Commissioner, stated that people should get angry about the epidemic drug problem. He explained further by saying people are not aware of the effects drugs are having in the state of Maine, which extends far beyond babies and overdoses. According to the MDEA, larger quantities of drugs are arriving in Maine via gangs in New York and other more urbanized parts of New England. The reason for this is profit. Heroin can be bought cheaply in cities for around $5. In Maine, the same amount of heroin would bring $30. The massive drug migration is simply an economic move by dealers. The MDEA director, Roy McKinney, emphasized that drugs are only one problem gangs are bringing into the area. He said they are often participating in other types of crime including human trafficking and running guns. McKinney added that the additional personnel would make a large difference by making drugs harder to buy. Currently, the MDEA is staffed by 35 people and runs on a budget of $3.1 million per year. While it seems the plan outlined by LePage would receive support from both parties, the governor accused Democrats of opposition although a vote has not yet been taken. He expressed disgust and said it seemed some lawmakers are weak and acting ignorantly in regard to the drug problem. Representative Lori Fowle, who is the leading Democrat on the Criminal Justice Committee of the Maine Legislature, said she supports the governor’s plan and thinks he is going in the right direction. She added that she would like to see a trend toward funding drug treatment, which echoes a growing movement toward treating drug issues as a medical problem instead of a criminal offense. 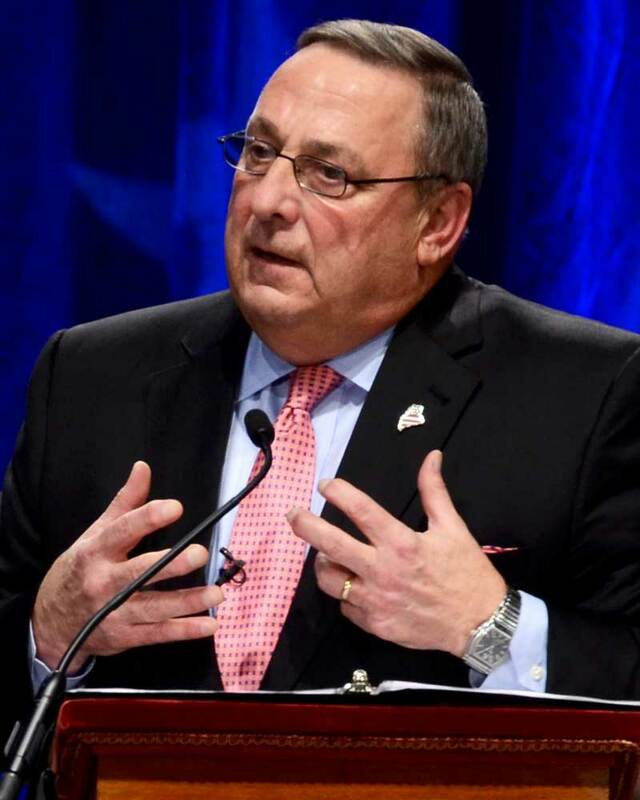 Governor LePage countered by saying Maine has already made a large investment toward drug treatment in recent years, spending $17 million in 2014. He claims the Democrats are scared of the problem and refuse to deal with it. The Democrats refuted this point and stated they are ready and willing to talk about the war on drugs with LePage, and the reticence is his choice, not their own.